Wow! Just one brush with this product and I’m sold. I have a good feeling that my teeth will actually be whiter in 4 weeks. I have used the expensive whitening strips and have found them effective, but as a busy mom not practical to use. Of course, I’ve inquired about teeth whitening at the dentist office, but can never justify taking from my kids College fund, just to have brighter teeth. How come I think this toothpaste will make my teeth whiter? After all, I only brushed one time with it. My reasoning is that it leaves a taste in my mouth just like the whitening strips, but not as unpleasant. Silly, huh, that it reminds me of a product that works to whiten teeth, I feel confident that it will whiten teeth. It’s the way the sense of smell works. Aromas & tastes affect us powerfully. 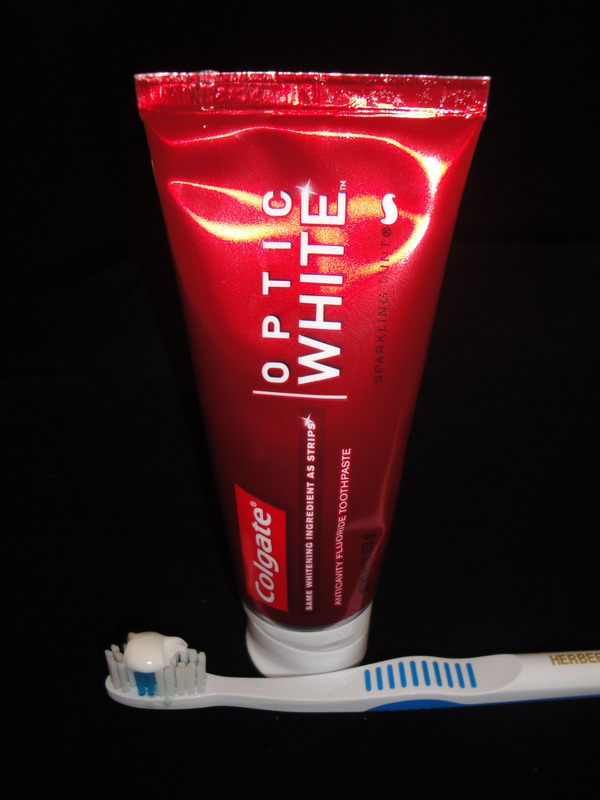 The flavor profile of the Optic White Sparkling mint toothpaste is medicinal and mentholic (one-dimensional). The product is very cool in my mouth and almost burns (must be working). There is a foaming action that makes me think the toothpaste is reaching all the in between areas. After “swishing” with water and finishing my brush, my mouth felt amazingly clean. I really like this toothpaste and hope to have whiter teeth in the next week. I’ll keep you posted.